Looney Moon Experiment has managed to capture sounds from the mystical mammal known as Okapi! This rare Franco-Italian creature also answers to Filippo and has been behind turntables, in the studio, and swinging from grape vine to apple tree for over 20 years. 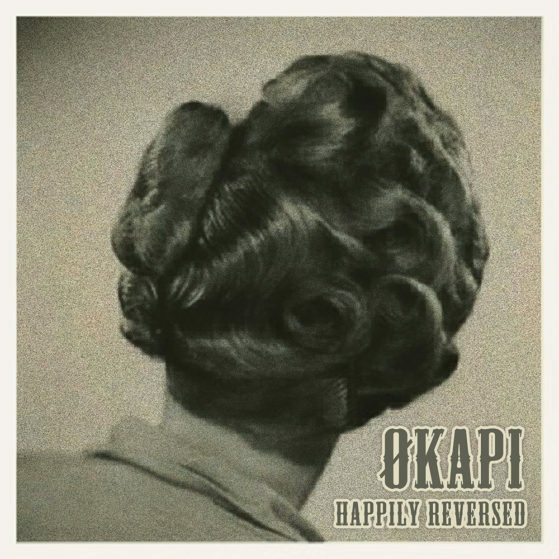 Okapi was last seen dawning a lovely tricolor floral smock, catching cutup elements with his long microphone tongue, and producing the Happily Reverse EP. As the Okapi swept through the LMX house, it created experimentation in the augmentation of classical instrumentation. LMX swayed in ecstasy, releasing four exceptional movements within the quirky environment characteristically designed by the Okapi. Now available to the public, these rare sounds include warm soulful downtempo step, summer wine beach house, warped classical show tune trip-hop clownery, and a 50s house wife dusting the house. Happily Reverse EP promises to moog you and plop your brain right into a grand orchestral musical hall full of clown shoes.